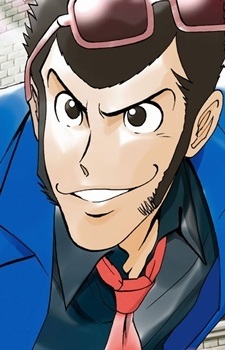 Is the grandson of Arsène Lupin. He is the world's most wanted thief. Often in his adventures, he takes it upon himself and his gang to foil other criminals engaged in more serious crimes. He sometimes appears incompetent, but mostly as a charade to catch his opponents off guard. While he has been arrested and thrown in jail on a number of occasions, he has always managed to break out. His infatuation with Fujiko Mine is perhaps his biggest weakness, as it often lands him in undesirable situations.